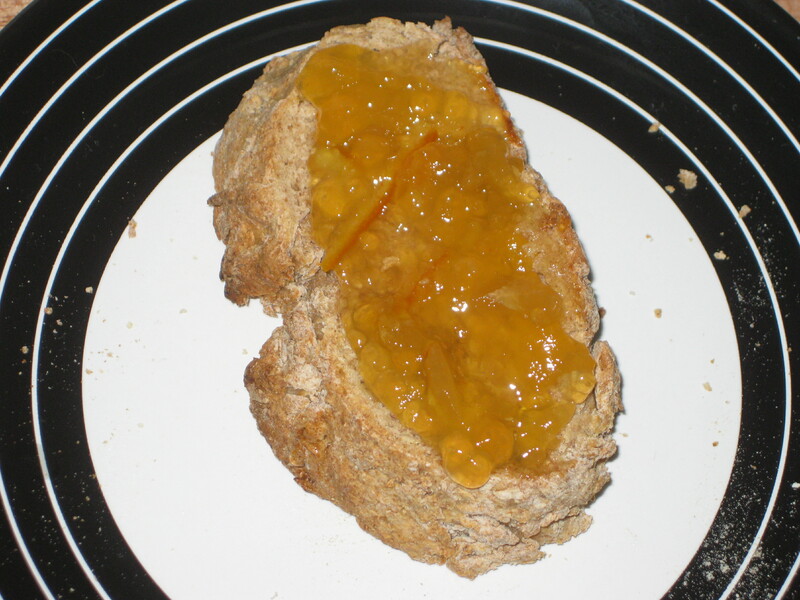 In honour of the book that kept me so entertained, here is the only Nigel Slater recipe I’ve ever made. 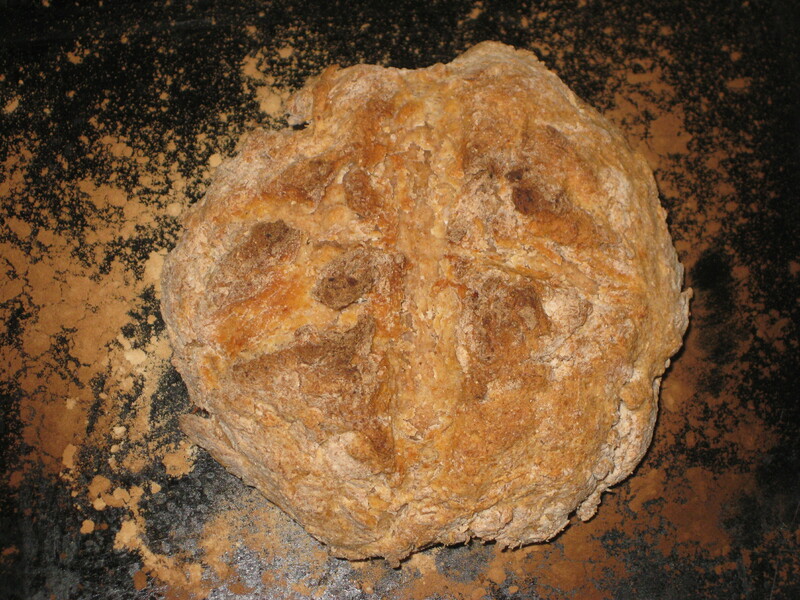 And it’s a good one: soda bread. It’s unbelievably quick and easy to make – you can have this ready in 30 minutes, meaning that it’s entirely possible to have freshly baked bread for breakfast. I’ve made it in the past following the recipe exactly – making the full quantity, baking it inside a warmed-up casserole dish. This time I was just trying to use up half a carton of buttermilk, so it was only half the quantity, and my oven is too small for a casserole dish, so I used a pre-heated baking tray. I’ve included pictures of my little mini-loaf, as well as the more attractive original one – I’d recommend going for the full quantity and casserole dish, if you can. 1. Preheat the oven to 220C. Put a large casserole dish and its lid in the oven to warm up. 2. 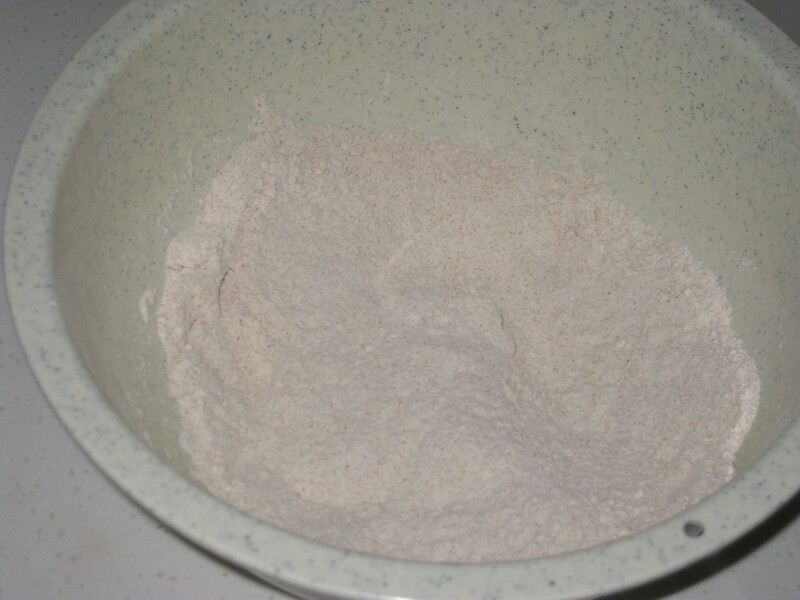 In a large bowl, mix together the dry ingredients with your fingers. 3. 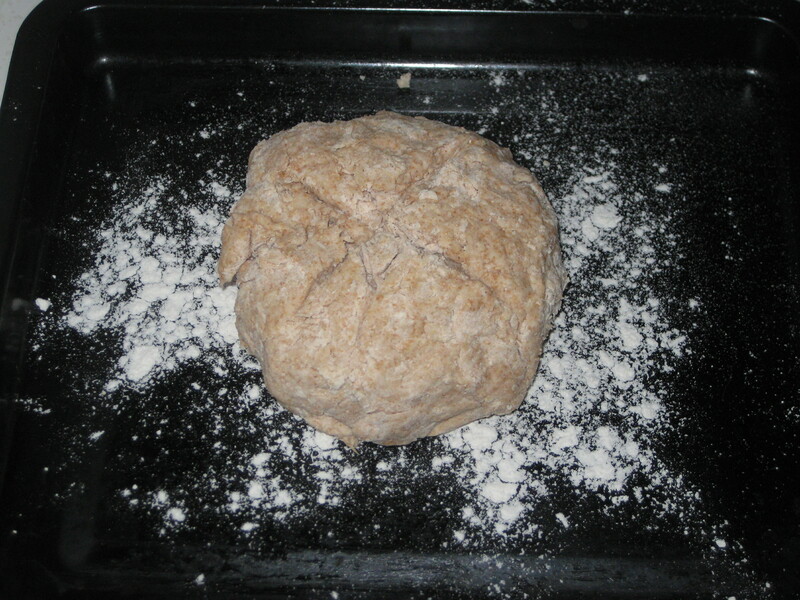 Pour in the buttermilk and work quickly to bring the mixture together as a soft dough – it may be quite sticky. 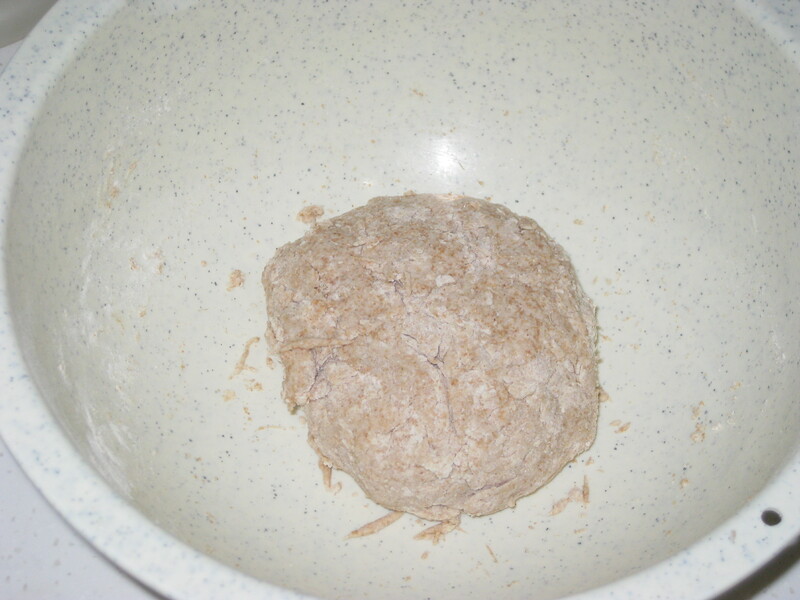 Shape into a disc about 4cm thick. 5. Remove from the oven and leave in place for 5 minutes, then turn out and allow it to cool slightly. Best eaten while it’s still warm! 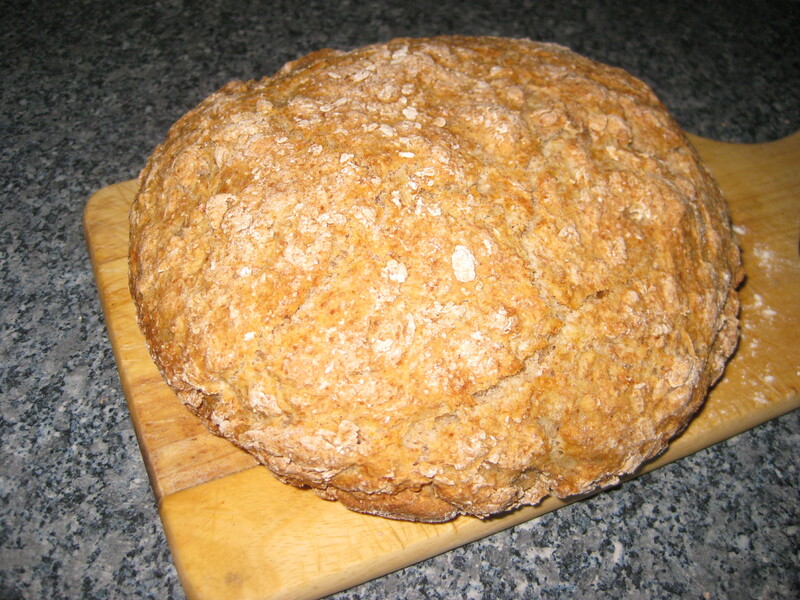 This entry was posted in Vegetarian Recipes and tagged lazy loaf, Nigel Slater, no-rise bread, soda bread. Bookmark the permalink. That autobiography sounds fantastic, I might just have to get my hands on a copy! I too have a tiny oven (well, it’s my boyfriend’s) because his big one broke so I bought him a portable tiny one…I might have to make a small size of this bread as well. 😛 Sounds easy and tasty though! Yeah, we live in Hong Kong where proper ovens enjoy mythical status – we just have 2 miniature portable ones. 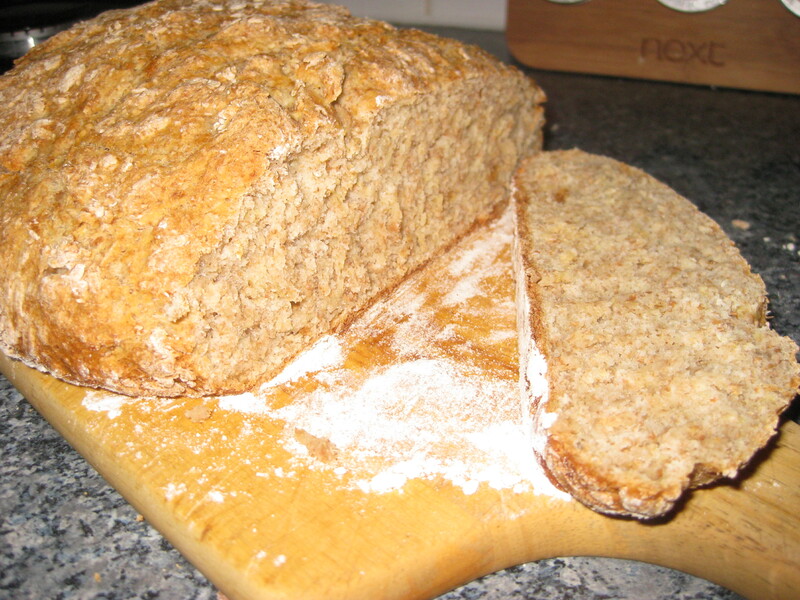 The bread works just as well in there though, give it a go! You had me at “lazy” 😉 At least when it comes to bread! The fact that it sounds so delicious is just a bonus! I like to think it’s more practicality than laziness – there’s no shame in preferring a loaf without all that kneading and rising, surely!